O.R.M.A. S.R.L. irrigation is a hose reel irrigation machine manufacturer specialized in design and manufacture of: machines for garden irrigation, sports fields irrigation machinery (football field irrigation, soccer field irrigation) , machines for agricultural irrigation and farm irrigation hose reel systems . Our irrigators are the result of in path of innovation and experience began in the mid `70. The ORMA irrigation machines are characterized by careful attention to details, robustness and ease of use. The hose reel irrigators O.R.M.A. are the right answer for every need, gardening hobby or professional gardening, sports areas, football fields or soccer fields, horticulture, agriculture, farms. Felice Marzocchi was born in 1934 in a farmer family in Giardino, a small village on the border between Emilia and Romagna (province of Bologna). As a teen-ager, he was much more interested in mechanics rather than in rural life. After completing his studies he served in the army in Modena where he drove armours. Then he moved to Milan where he lived from 1957 to 1960 working as a tractor driver when the runway of the Malpensa airport was built. These experiences and his great passion for engines and mechanics led Felice Marzocchi to open a small workshop of 20 square metres in the small village where he was born and has grown up. In this workshop agricultural machines were repaired. The workshop is called O.R.M.A. the Italian acronym of Officina Riparazioni Macchine Agricole (workshop repairing agricultural machines). However, thanks to his mind and intuitions, Felice Marzocchi started to desire to create his own products. The production of crusher-stemmers for grape crushing started. This important development is confirmed by the change of the O.R.M.A. acronym, which becomes “Officina Romagnola Macchine Agricole” (agricultural machine workshop of Romagna, instead of workshop repairing agricultural machines). This new name shows the close relationship with the territory of Romagna. In the following years the share of the Italian market achieved with O.R.M.A.’s products was remarkable, its production achieved 1,000 items per year and O.R.M.A. became one of the major Italian manufacturers in this sector. The company developed unceasingly and in 1963, 1968 and 1976 three new buildings were added. Creation of O.R.M.A. S.R.L. with a new company structure and a new project to be added to the existing production: the production of self-propelled sprinklers and the extension of its markets abroad. Sandro Pertini, President of the Italian Republic, gave Felice Marzocchi the sign of honour of Cavaliere della Repubblica Italiana (Knight of the Italian Republic). In the 1980’s and 1990’s important goals in the field of product innovation were achieved. Different patents were registered and international awards were obtained for the technical innovations and the extension to important international markets. 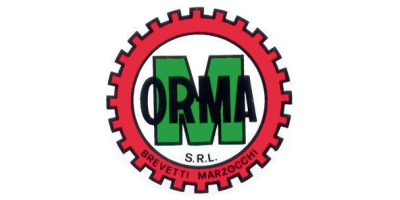 The second generation of the Marzocchi family started to work at O.R.M.A. S.R.L. Two generations working together: different ideas and experiences collaborate every day with the aim of developing the company. Many events characterise this ten-year period at O.R.M.A. S.R.L. ; the launch of highly innovative products, the introduction of new working methods and the extension to new and important international markets. The aim is that of giving O.R.M.A. S.R.L. an extremely slender and flexible structure that can easily and rapidly adapt to the uninterrupted changes and requirements of the markets where it operates. The Chamber of Commerce of Bologna rewards O.R.M.A. S.R.L. as an example of enterprise with dedication and ability to innovate, contribute more than 50 years to the economic development of the province.